The 2018 Region 13 winners were decided Friday, April 27 (quartets) and Saturday, April 27 (choruses)! Results are shown below. Margaret Brock: Margaret lives in St. Helens OR, where she first sang with the St. Helen’s chorus. She’s held various chorus leadership roles, and was honored with the Rose Achievement award in 1999 for her service on the Regional Board of Directors. One memorable experience was participating in the 1990 Washington DC July 4th parade where her chorus, Columbia River Chorus was awarded the Spirit of America Award. “I would wish many more women could have this experience of personal growth as I have through this wonderful organization and can only say I wish I'd found it earlier in my life." Linea Croly: Linea has been a musician since she childhood, playing piano, cello, and singing in church and school choirs. 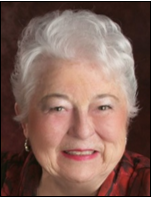 She visited the Pocatello Chapter (Idaho) in 1958, and joined the Golden Belle chapter in Billings, Montana in 1968. She has been a member of several choruses, including Lakeside Chorus which placed 3rd internationally in 1984. Linea has always been active in chorus and region leadership, and is currently a member of Seattle Shores Chorus. Meech Debol: Meech was introduced to SAI when she stepped off the plane in Hawaii for the first time and was met and recruited by the ship captain’s wife. A member of five choruses in three regions (13, 14, 21), Meech helped found a chorus in Charleston, SC, (still going strong!). Meech joined the San Diego Chorus in 1983, and was a member in 2001 when they won gold at International. She’s held chorus and regional leadership roles in each region, and is currently Bari section leader and Assistant Director at Spirit of Spokane. “…finding who I am through the forever friends who share my passion for this wonderful organization." Hope Fulwiler: Hope started with the Spokane Valley Chorus, and has sung with several local chapters. She is a member of Ovation Chorus, winning a Region 13 Quartet Championship with Classified Ads in 1976. Hope has competed internationally with Classified Ads, placing 21st and 25th, and with Spokane Falls/Spirit of Spokane Chorus. She has also held many different chorus leadership positions, including Section Leader and President. Beth Garske: Beth’s first chorus was Lilac City Chorus in Spokane, WA. She has been a member of several quartets, including 1981 Region 13 Champion Past Reflections. She competed internationally five times as a member of Spirit of Spokane Chorus. Beth is also active in leadership at chorus and regional level, and is the Team Coordinator for RiversEdge Chorus in Spokane as well as the Ovation Chorus. “Having friendships that long is totally awesome, and being able to mentor newer members has been a wonderful experience." 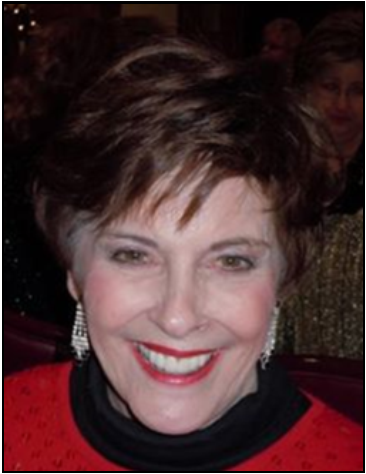 Barbara Harp: Barbara has been singing all her life, but wasn’t satisfied until she joined the Simi Valley (CA) Chorus. She finds competing with quartets and choruses has been very fulfilling. She helped get several choruses up and running, and is currently a member of Five Valley Chorus in Montana. “I will never forget all the memories and fun I've had during this wonderful journey." Nancy McLaughlin: Nancy was raised in eastern Pennsylvania, where she attended barbershop shows with her mom. She is proud to say she saw the Buffalo Bills before they were featured in The Music Man. Her first chorus was in Massena, NY, and she has been a chorus member in SEVEN different regions! 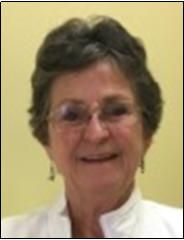 Nancy is currently a member of Grand Olympic Chorus in Sequim, WA. Our 2018 Heart of the Northwest Award winner is Sue Beck! TOTAL YEARS A MEMBER: 46 Years! 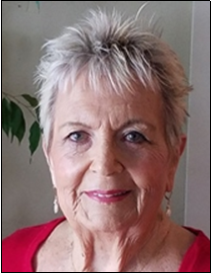 COMMENTS ON NOMINEE’S QUALIFICATIONS: Sue Beck joined Sweet Adelines in 1972, with 45 years of SAI membership she has had the opportunity to share her many musical and personal talents with other members both at a regional and international level. 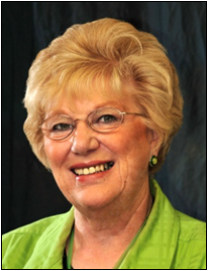 Sue has held many positions in Region 13, she has sung as a member in Sound Cities and Lakeside Choruses. She founded and sang with Pacific Sound Chorus and would also go on to found and direct Voices Northwest Chorus, of which she is a member. Sue has also sung in three regional championship quartets. Sue is a certified director, she has been on the regional faculty, has been an education chair, operated as the regional secretary and has also had the esteemed honor to direct Ovation. 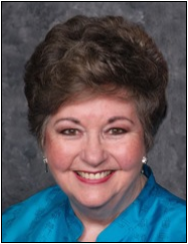 During her years of membership in Region 13, she has been a chorus president, secretary, treasurer, team leader, marking coordinator , music team member, section leader and much more. Sue continually shares her passion and knowledge for this craft through coaching of quartets and choruses. She challenges herself to become a better singer, performer and chorus member. She is often the first to volunteer when a role or responsibility needs to filled. She is a mentor to new members and encourages everyone to learn, grow and gain the confidence needed to be a better singer. 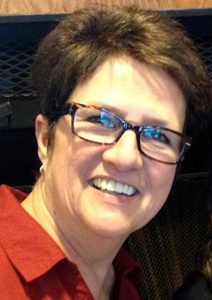 She is an ambassador for her chorus, region and the Sweet Adelines organization. OTHER HEART OF THE NORTHWEST NOMINEES WERE: Judy Galloway, LouAnn Hommel, Nancy Kurth, Gayle Miller, and Charlene O'Connor. Congratulations to all!